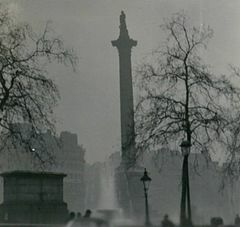 As described in part 1 of this article, early legislation and attempts to curb air pollution were largely unsuccessful and a situation arose in post-war London where ‘pea soup’ fogs in colder winter months combined with the excess pollution that was a normal feature of daily life to create life-threatening smogs. Also known as a black fog, killer fog or smog, is was a very thick and often yellowish, greenish, or blackish fog caused by air pollution that contained soot particulates and the poisonous gas sulphur dioxide. On the worst days, employees were sent home from work as breathing itself became difficult never mind actual work while certain London businesses did a brisk trade in house refurbishing and the sale of furniture ‘covers’ to protect families’ household possessions from the damage wreaked by the acidic, smokey air. Many voiced the need for the introduction of smokeless fuel but the Conservative government of the time loudly proclaimed that its introduction would provoke economic collapse, despite the significant disruption to business and loss of income the smogs were actually causing. Then came the Great Smog of ’52 or The Big Smoke, a severe air-pollution event that affected London during December that year. A period of cold weather, combined with an anticyclone and windless conditions, collected airborne pollutants mostly from the use of coal to form a thick layer of smog over the city which lasted from Friday 5 December to Tuesday 9 December 1952. My parents lived in London at the time and on the first day of the event my grandfather drove to ‘rescue’ my mother and her sister from work as all public transport had been cancelled. Despite his military training, the mission was not very successful, as the smog was so thick that a hand held up in front of the face was almost invisible so instead my mother and aunt ended up walking all the way home down the road to guide the car as my grandfather drove home at the obligatory snail’s pace. According to the UK MetOffice, the pollutants emitted into the London atmosphere each day of the smog included: 1,000 tonnes of smoke particles, 2,000 tonnes of carbon dioxide, 140 tonnes of hydrochloric acid, 14 tonnes of fluorine compounds and 370 tonnes of sulphur dioxide. The latest research indicates that this led to the premature deaths of up to 12,000 people while more than 100,000 fell ill as a result of this event. Most of the deaths were caused by respiratory tract infections from hypoxia and mechanical obstruction of the air passages by pus arising from lung infections that the smog resulted in. The lung infections in question were mainly bronchopneumonia or acute purulent bronchitis superimposed upon chronic bronchitis that would itself have been created by childhood exposure to smogs. Such an unprecedented, albeit entirely predictable, public health disaster finally created the outcry needed to push through the necessary changes to the law resulting in the Clean Air Act 1956. 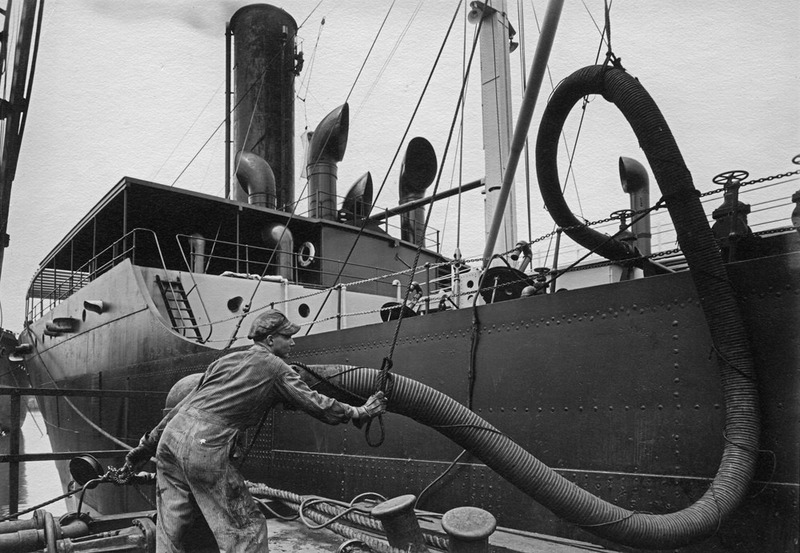 This restricted the use of dirty fuels in industry, banned black smoke and introduced ‘smoke control areas’. Needless to say, the much vaunted economic collapse never materialised while London never suffered another smog of anything like this magnitude. As a postscript to this, an assumption would be that things are much better today, however, the old coal powered stations have now been replaced by millions of cars spewing nitrogen oxides, fuel particles and VOCs (volatile organic carbons) so that an estimated 9500 Londoners die annually and as many as 60,000 across the UK. This has of course been made considerably worse by the ‘cheat’ devices employed by the car manufacturers and in a tragic repeat of history the intransigence of the current administration to even propose any of the appropriate control measures. In the 1950s, 1960s, and 1970s, certain events illustrated our newfound capacity to cause environmental damage on an unprecedented scale including hydrogen bomb testing, the first major nuclear accident at Windscale (now Sellafield) in Cumbria in 1957, the oil tanker Torrey Canyon spill off the coast of Cornwall in 1967, a 1969 oil spill from an offshore well in California’s Santa Barbara Channel (that led to the creation of ‘Earth Day’) and the 1971 lawsuit on effects of decades of mercury poisoning on the people of Minamata, Japan. the national problem of dumping of hazardous waste and led to the ‘Superfund’ Act of 1980 a federal law designed to clean up sites contaminated with hazardous substances and pollutants. 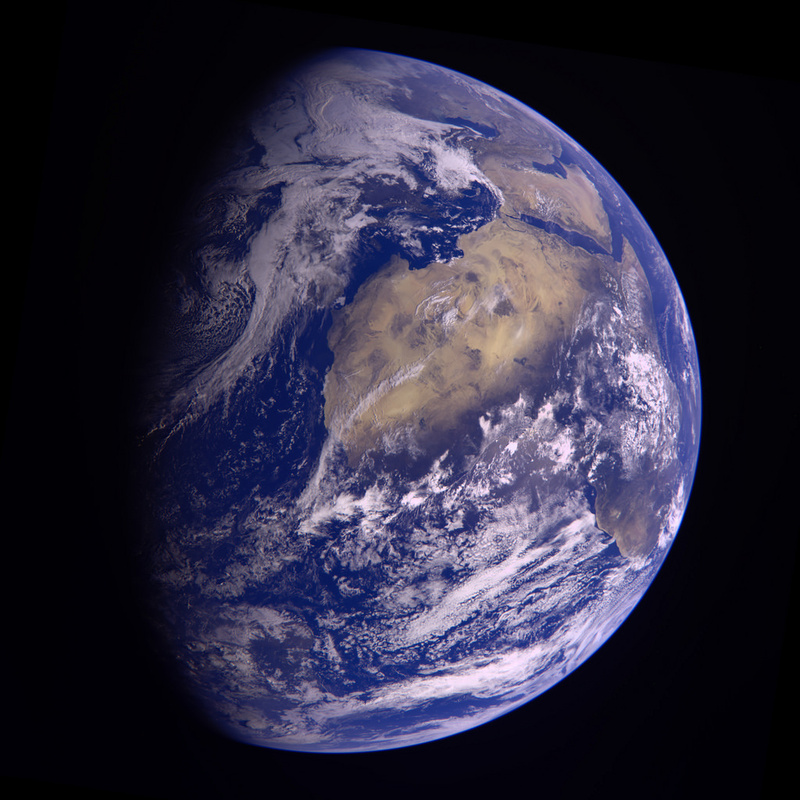 Furthermore, spectacular images of our ‘blue’ Earth floating alone in space created a new sensibility and wonderment (the so-called ‘overview effect’ experienced by some astronauts) while at the same time highlighted our planet as a tiny, fragile ball of life “hanging in the void” supported by a paper-thin atmosphere. This perspective generated new motivation to protect our small and unique place in the universe. In 1949, A Sand County Almanac published by Aldo Leopold explained his belief that humankind should have a moral respect for the environment and that it is unethical to harm it. His land ethic is summarised in the following quote: “A thing is right when it tends to preserve the integrity, stability, and beauty of the biotic community. It is wrong when it tends otherwise.” Expressing similar beliefs to those of America’s First Nations and other indigenous peoples, he considered that land is not a commodity to be possessed but rather that humans must have a respect or even a reverence for Earth so as not to destroy it. He also puts forth the idea that humans will never be free if they have no wild spaces in which to roam. His book also stimulated a widespread interest in ecology as a science as its concepts suffused his writing. More influential, however, at least in terms of concrete outcomes was Silent Spring, an environmental science book by Rachel Carson published in 1962. 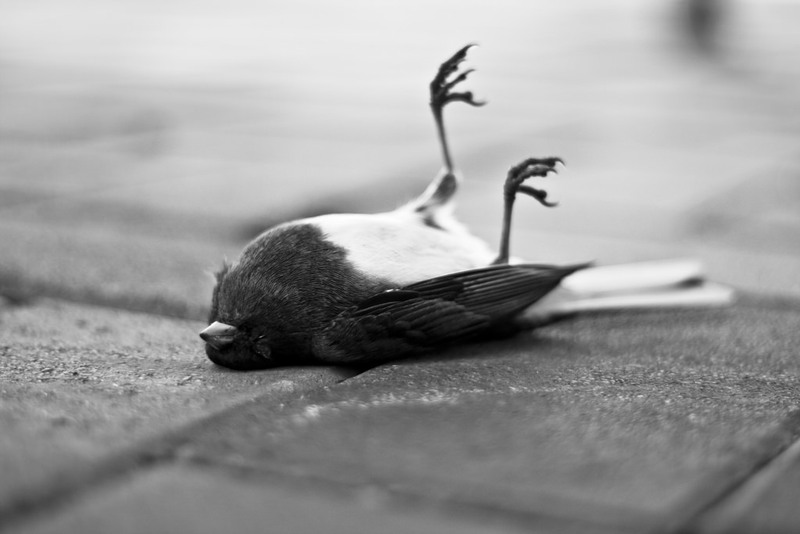 This seminal publication documented the detrimental effects on the environment, particularly on birds, of the indiscriminate use of pesticides. She first wrote a letter, published in The Washington Post that attributed the then recent decline in bird populations – the “silencing of birds” – to pesticide overuse. In 1957, 1958, and 1959 crops of U.S. cranberries were found to contain high levels of herbicide aminotriazole and sale of all cranberry products were halted. Carson promoted use of the more technically precise term “biocides” rather than the ubiquitously used pesticides to highlight that their effects are hardly ever limited to the target pests but are often completely indiscriminate and in fact often more effective against the insect predators of pest species than against the pests themselves. She predicted increased negative consequences of their use in the future, especially since targeted pests are effectively selected for resistance to pesticides (as only resistant individuals survive to breed thereby spreading this trait more rapidly through the species) and weakened ecosystems depleted of their natural biodiversity fall prey to unanticipated invasive species. She concluded her section on DDT in Silent Spring with advice for spraying as little as possible to limit the development of resistance so as to maintain the effectiveness of pesticides while the book closed with a call for a biotic approach to pest control as an alternative to chemical pesticides. In the weeks before publication, there was strong opposition to Silent Spring from the vested interests, in the chemical industry. DuPont, a major manufacturer of DDT and 2,4-D, and Velsicol Chemical Company, the only manufacturer of chlordane and heptachlor, were among the first to respond. DuPont compiled an extensive report on the book’s press coverage and its estimated impact on public opinion while Velsicol threatened legal action against publications unless all planned Silent Spring features were canceled. In an approach which is now standard practice and which became honed by the smoking industry, industry representatives and lobbyists lodged a range of non-specific complaints, some anonymously while chemical companies and associated organisations produced numerous brochures and articles promoting and defending pesticide use. Others used personalised sexist attacks and smears describing her among other things as a hysterical woman (or rather spinster) who wanted to turn the earth over to the insects. Fortunately, these attempts backfired generating huge publicity and the subsequent public response to the book, along with the vindication of her thesis by the a special panel of the Science Advisory Committee, is believed to have led to the creation of the United States Environmental Protection Agency in 1970 which subsequently banned the agricultural use of DDT in the US in 1972. The Clean Water Act and Endangered Species Act were also signed in 1972 and 1973 respectively. Silent Spring’s legacy was a far greater awareness of environmental issues and interest into how people affect the environment and new pressure groups were also formed around this time, most notably Greenpeace and Friends of the Earth. In David Attenborough’s opinion, Silent Spring was probably the book that changed the scientific world the most (after Origin of Species by Charles Darwin). As a counter-reaction, it also led to the development of industry-sponsorerd think tanks devoted to rolling back this assault on their ‘rights’ to pollute which has now reached its zenith with the current US administration. Again an unfortunate postscript besides the current bonfire of regulations which are there to protect American public’s clean air and water is that the situation today is far far worse than at the time Silent Spring was written with not just songbirds but many insects being wiped out by the new generations of biocides that replaced DDT. Emerging scientific research drew new attention to existing and hypothetical threats to the environment and consequently to humanity. Among them were Paul R. Ehrlich, whose book The Population Bomb (1968) revived Malthusian concerns about the impact of exponential population growth and resulting resource shortages. Indeed, where resources such as farmland are in short supply population growth and inappropriate farming methods clearly spurs habitat destruction and environmental degradation. However, this was widely critiqued as simplistically over-emphasising population growth alone and not looking at modern means of production and levels of consumption as it is people in industrialised economies that produce much bigger impacts than those in developing economies. Also, in many cases of population-related destruction, “new” farmland is quickly taken over by big agriculture such as beef, palm oil and soy destined for export for consumption in developed countries. In a similar vein, an association of scientists and political leaders known as the Club of Rome published their report The Limits to Growth in 1972 (which at 30 million copies is the best-selling environmental book in world history), which predicted that economic growth could not continue indefinitely because of the limited availability of natural resources, particularly oil and drew attention to the growing pressure on natural resources from human activities. The 1973 oil crisis also increased public concern about this problem. In contrast to Ehrlich, in his 1971 bestselling book The Closing Circle, Barry Commoner posited that rather than population growth it was “flawed technology” which broke out of the rules of ecology that was the main cause of environmental degradation along with a social organisation which they have devised to “conquer” nature. He highlighted that since 1946 while the American population had increased 42% the standard of living had not increased greatly while the level of consumption had increased by 200 to 2000%. Radical changes in agriculture and industry whereby natural products were replaced with synthetic ones were a result of technologies adopted since World War II because these were more profitable than the old ones. Consequently, he concluded that “pollution begins in the corporate boardroom, not the family bedroom” and that the problems had arisen as corporations were entrusted with the decision as to how to provide us with food, transportation and power. Specifically critiquing Ehrlich he stated: “saying that none of our pollution problems can be solved without getting at population first is a copout of the worst kind” and he also highlighted the large discrepancy in pollution caused depending on wealth. In what was to become a long-running debate Commoner critiqued Ehrlich’s emphasis on population alone and highlighted that from a humanitarian perspective his solutions were unacceptable as they involved significant coercion and a disproportionate burden on the poor. He counterposed that improved, more environmentally-friendly technologies and above all social development would result in a natural decrease in population growth and reduced environmental damage. Nature knows best. Humankind has fashioned technology to improve upon nature, but such change in a natural system is, says Commoner, “likely to be detrimental to that system“. 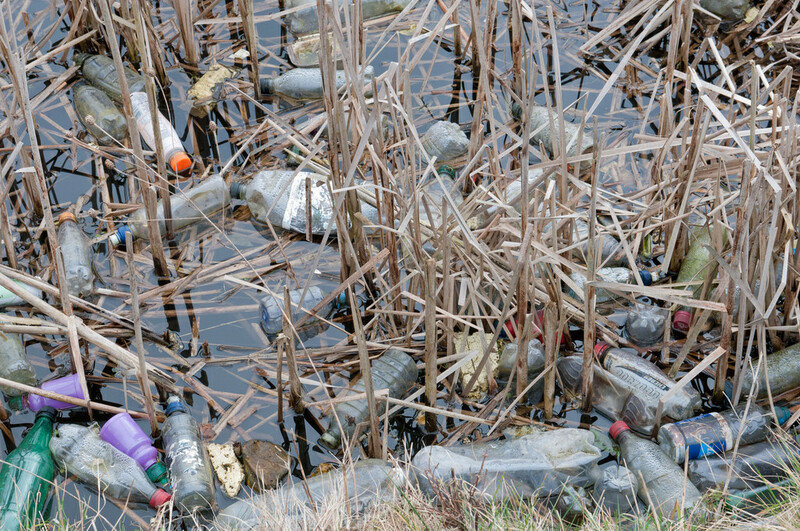 In particular, the first two of these principles have been much in evidence in the last few years as we have discovered enormous quantities of plastic in the oceans, even down to its deepest depths, and plastic microbeads found in everything from cosmetics to toothpaste being ingested by fish and coming full circle to threaten our health.